Eden's art is really coming together. I love that her mummy gir has body parts that now are greater than sticks and that this is in motion and leaning as if walking. 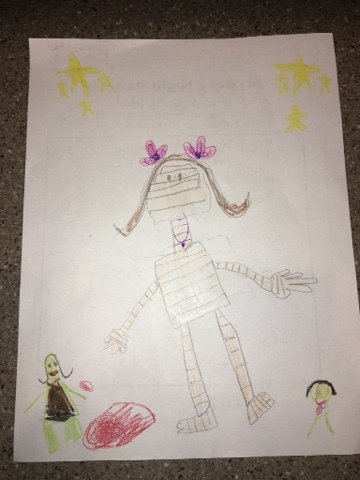 I love that the green minion thing is eating blood, and that her mummy has bows and a necklace.